Greetings from the North Woods! The sun is shining and it is in the fifties. That is a hot day for this particular Spring. Enough about the weather. As you may have guessed, I am not really much of a people person. My wife is the social one, and that works out just fine for me. Now, you know that we at predatorpee.com specialize in helping you deter problem animals, but, whether you are a people person or not, there may come a time when you have unwanted persons loitering around your home or business. Well, as it happens, I have developed a solution for that particular people problem as well. Just like our other products it is all natural and highly effective. My product “Skunk ‘Um” includes 1oz of Pure Skunk Essence and a spray bottle. Just mix with water, spray & the “hang-out” area is closed! If you have ever experienced the odor of pure skunk essence, you know how powerful it is. Put this natural deterrent to work to protect your property from problem people. Please note that I did not advise you to spray the product on anyone – in this day and age that probably constitutes assault – just let the scent drive them away. When the days start to get longer and the sun shines more than not, I get itchy to work on projects. So, check in again for an update on my Scout truck. Posted on April 29, 2014 by The PeeMan. 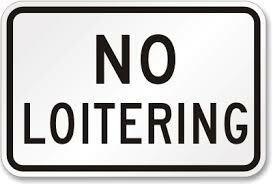 This entry was posted in Informational Articles and tagged keep loiterers away, people deterrent, skunk 'um, skunk essence, stop loitering. Bookmark the permalink.